Please Welcome Our Friends From Helena Industries! Please Welcome Our Friends From Helena Industries! Welcome to the New Staff, Clients and Social Media Followers from Helena Industries! 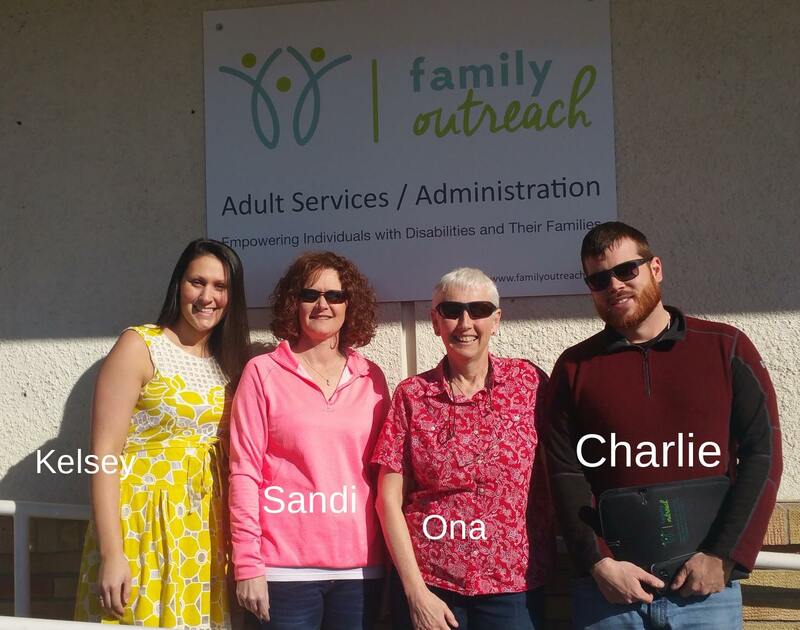 With Helena Industries closure, Family Outreach was fortunate to employ numerous HI staff and transition many of the individuals with disabilities working within the community into Family Outreach services. We’d like to thank the community’s support during this time of transition and would like to welcome our new staff, the 60+ individuals with disabilities and the HI social media followers who have joined our family. Kelsey Malek is our current Supported Employment Specialist (SES) in our Helena location. Our new SESs include Sandi McDonald, Ona Lepard and Charlie McKay. We would also like to welcome numerous Direct Service Providers (DSPs) who have joined us as well. For more information on our services for adults, children and their families, give us a call or email us. We’d love to hear from you!